IDX Broker makes it easy to feature your own listings. Use the Featured Listing Showcase & Slideshow to highlight your personal listings on any page. Create an Open House gallery page and promote showings for potential buyers. Include additional listings (not in your MLS) by adding Supplemental Properties. 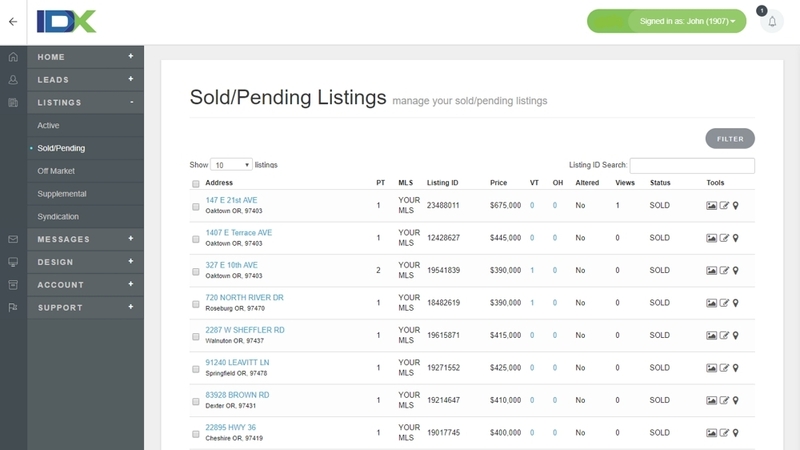 You can also showcase your Sold or Pending Listings. Customize your featured listings by Uploading and Managing Photos, Setting Geo Locations, editing Basic Property Information, and more. Easily display your own (plus additional) listings on any Apple TV-connected display with our Featured Listings App.